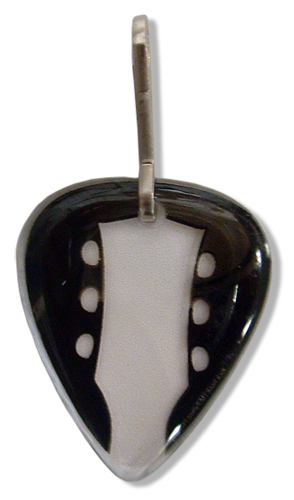 The Rick Rock guitar pick zipper pull is made with our same great quality guitar pick on a nickel plated zipper pull attachment and is adaptable to any zipper. 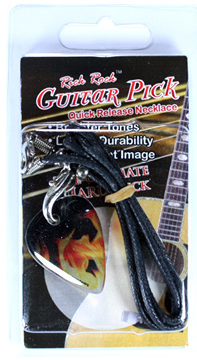 All our guitar pick zipper pulls come with our colorful clamshell packaging. 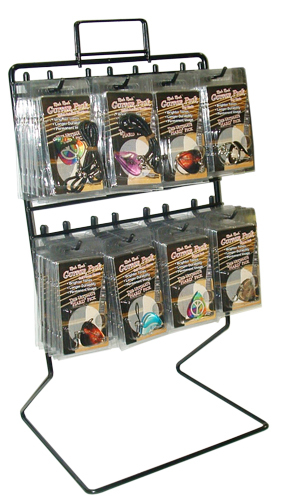 Free Display Stand when you order 2 of each style for a total of 48 pieces.